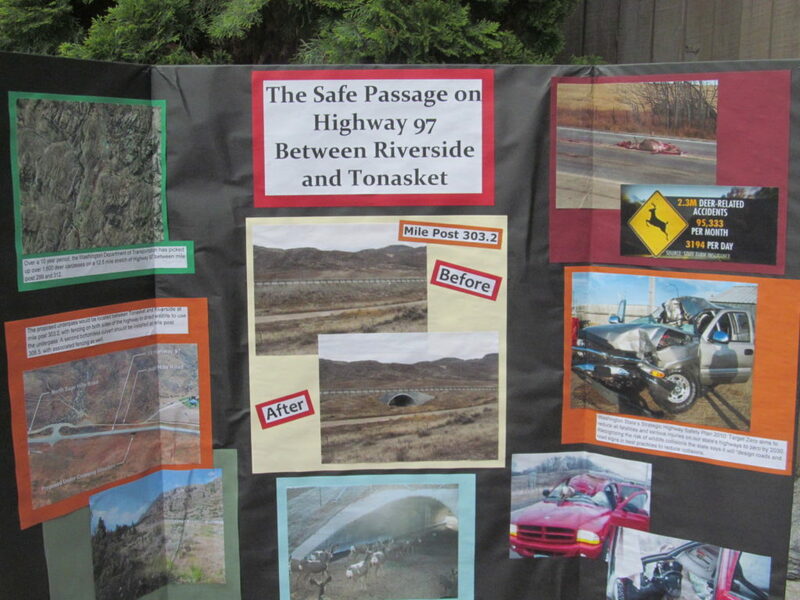 In an effort to engage young adults in understanding the need and communicating the benefits of creating safer passage for people and wildlife on Highway 97 in Okanogan County, the Okanogan Trails Mule Deer Foundation Chapter hosted a scholarship contest for Tonasket, Omak, and Okanogan Highschools. The contest asked highschool juniors and seniors in these three area schools to submit a photo and essay providing new ideas and new strategies for communication. The scholarship contest is funded through generous donations from local Mule Deer Foundation chapter individual donations, Toyota Together Green, and National Fish and Wildlife Foundation. High quality entries were submitted that resulted in 7 winners! 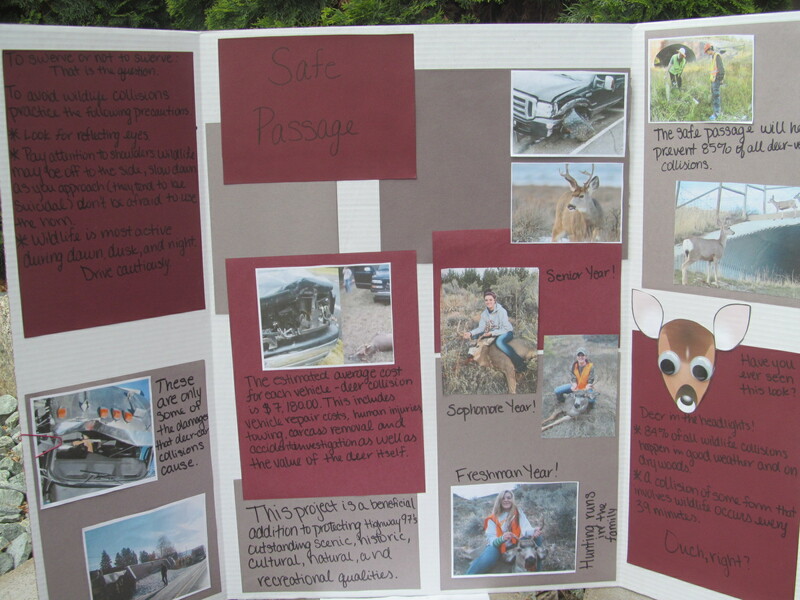 The winners had their work featured at the May 2016 Mule Deer Foundation banquet held by the Okanogan Trails Chapter, and were awarded scholarship amounts to support their continued learning. Congratulations to our winners and thank you to all that participated, we were inspired by the entries! A few of the visual aids from contest winners are below. Scholarship contest entry by winner Jenna Valentine. 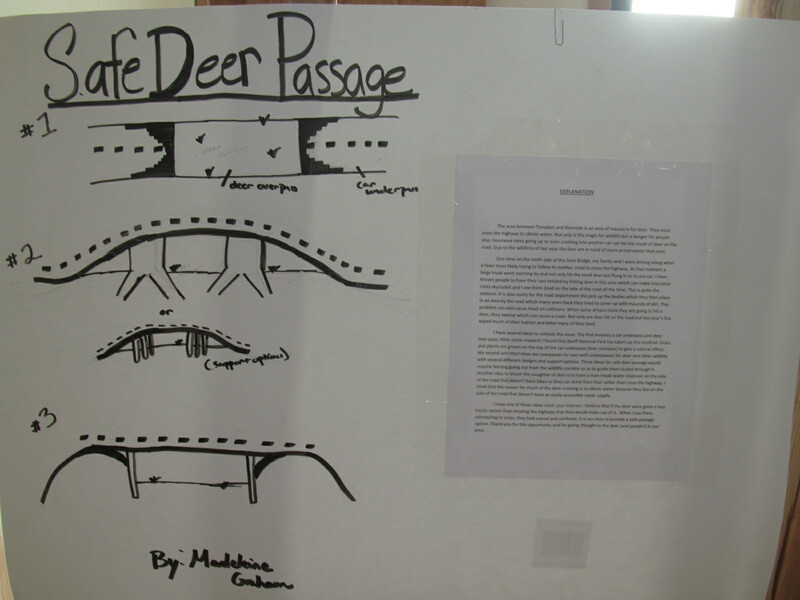 Scholarship contest entry by winner Madeleine Graham. Scholarship contest entry by winner Mikayla.